An oil slick on the Moskva River in Moscow caught fire Wednesday afternoon, sending a plume of heavy black smoke skyward in the southern part of the city. 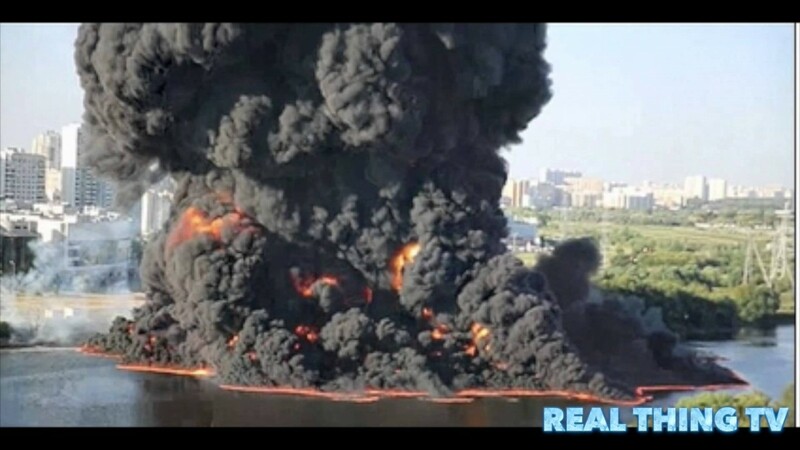 Alarmed Muscovites shared photos and video of the plume on social media, which can be seen below. Two adults and one 9-year-old child were injured in the fire and taken to a local hospital, according to Russia Today. Firefighters extinguished the blaze, which stretched about 300 feet down the river, in 15 minutes. The state-owned oil pipeline company Transneft initially confirmed it was involved in the incident, believing the spill was likely related to a company-owned underwater oil pipeline that carries jet kerosene, gasoline and diesel to the Moscow Refinery. ” We [confirm], that’s our incident,” a Transneft spokesman told state-owned news agency TASS. However, Transneft now disputes its involvement after a preliminary inspection of the pipieline found no damage, a company statement said. “The incident occurred at the site of passage of the pipe. But a two-hour-long check has shown that the main pipeline is operating normally,” Igor Demin, a company spokesman, told Russia Today. Moscow police told TASS that a patch of grass on the riverbank caught fire, which in turn ignited the river.